Hello and welcome to our blog, where we’ll regularly be posting about plumbing tips and updates to keep you knowledgeable about what’s happening in the vast and wonderful world of plumbing. Today, we’ll start our blog out by talking about why it’s so extremely important to hire a professional plumber to take care of the bigger jobs in your home, such as backflow installation and mechanisms that could help to protect you against basement flooding. A quality plumber can help to ensure that your home is safe and its plumbing is running efficiently, thus saving you money on bills. Many times, it’s tempting to fix plumbing fixes on your own. While sometimes your own quick repairs turn out to be a success in the short term, they can oftentimes lead to bigger and more expensive issues in the future. Get plumbing right the first time and hire Mojica Plumbing and Drain Cleaning and we’ll get your home’s plumbing up and running successfully. In the meantime, here’s why it’s absolutely necessary to hire a professional and licensed plumber today. If you’ve been living in Austin for a while, then you’re fully aware of the wreckage that weather can leave on your home. The unpredictability of heavy storms and rain makes flooding a constant threat. If you have a basement in your home, then it’s at risk of being flooded. Hiring a local plumber who’s experienced in installing flood prevention tools in your basement could make the difference between a dry basement and thousands of dollars in repairs next time a storm rolls around. Our plumbers have the expertise to install sump pumps, valves, and ejector pumps to keep floodwater out of your home. Flooding isn’t the only disaster that can harm your home. Installing faulty plumbing or haphazardly making repairs to leaks and pipes can be a catastrophe in the future. 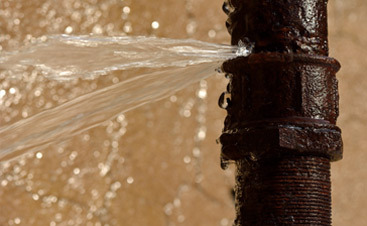 If a pipe bursts or rusts, it could ruin the interior of your house and cost you a lot of money in repairs. Hiring a licensed plumber could keep your home safe from plumbing disasters. Fixing and installing plumbing systems on your own or hiring someone who isn’t trained to do it for you could compromise the safety of your home. 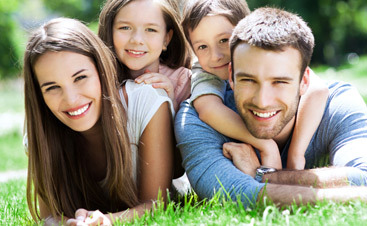 You and your family’s health could be at risk if your backflow system, which ensures the cleanliness of drinking water, isn’t running properly. Testing and attempting to repair a backflow system without experience could result in unclean water. This is especially dangerous if you have young children. A working and updated pipe system is also an important factor in making sure that your home is a safe place to live. Leaky pipes could lead to dangerous mold growing from the dampness. Additionally, leaks could damage ceilings and flooring which can result in ceilings collapsing and tiles falling. Not only could these issues be expensive to fix, but it can also cause irreparable harm to those in your home. Therefore, it’s pertinent to hire someone with the expertise to take care of plumbing mechanisms, including your pipes and backflow device, are installed and running properly in order to protect your home and family. If the safety of your home and household is a priority, our licensed plumbers at Mojica Plumbing & Drain Cleaning will be happy to come in and properly install working plumbing systems so that you could sleep easy. While hiring an unlicensed plumber could appear to save you money, it could also be the cause of a major lawsuit against you. By choosing someone who isn’t contracted to work on you’re home, you’re also taking full responsibility if something happens to them while they’re on the job. 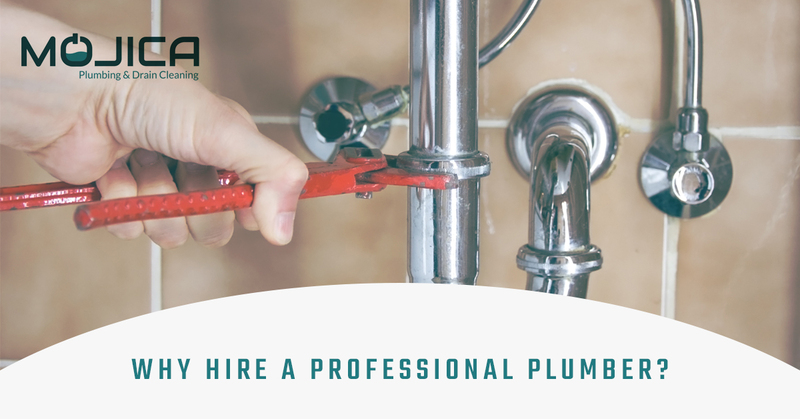 A contracted plumber is not only more likely to have the professional training necessary to properly work on plumbing, but it also takes away the liability aspect. All of our plumbers at Mojica Plumbing & Drain Cleaning are licensed and contracted. If something were to happen to them while working on your house, our company is insured for liability and Worker’s Compensation. 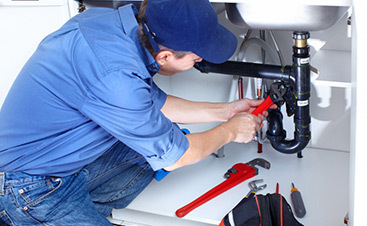 Not only do you get quality plumbing work, but you also don’t have to fret about being liable. If you’re a landlord, you also may be liable if one of your tenants is injured or harmed due to faulty plumbing. Keep your renters safe and happy by making sure that the home is well-equipped with up-to-date plumbing systems by hiring a professional licensed plumber. Life is unpredictable and sometimes, despite our convictions, we have to move. Selling a house isn’t an easy task. Therefore, it’s in your best interest to keep the property value at, or higher than, what it was when you first moved in. Quality home improvements, including plumbing, can ensure that your property value doesn’t drop. Make sure to regularly keep up with plumbing maintenance in case you ever do need to sell your property. Hiring a contracted plumber who has experience in keeping plumbing up to standard can be the difference between selling your home at peak price or not selling at all. To ensure that your systems are in tip top shape, give Mojica Plumbing & Drain Cleaning a call today. Thanks for reading our first blog post and we hope you’ve learned why it’s valuable to hire a contracted plumber to work on plumbing systems in your home.